ProClean™ built-under dishwasher is rated 4.7 out of 5 by 32. 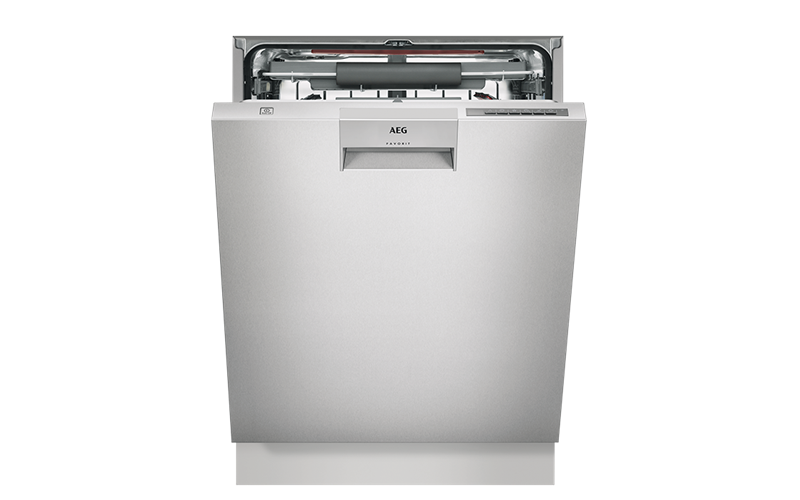 Rated 5 out of 5 by Carito from Very quiet We replace our old dishwasher with this AEG and it has been great. Very quiet, and lots of space in the bottom drawe. Rated 5 out of 5 by Mango from Excellent features and cutlery rack. Purchased a month ago and very happy with features and quality. Rated 5 out of 5 by Marg27 from Great Features We brought before Christmas, unfortunately for us it wasn't delivered until new stocks arrived, but we were kept up to date to when it will arrive. We chose this product because we liked it's features, the 5 year warranty, quick delivery and installation, including disposing of the old dishwasher. Customer Service was excellent, and the service guys were friendly and efficient at heir job. The dishwasher cleans the dishes to our expectations and we are very happy with it. Rated 1 out of 5 by Anonymous from Poor design The bottom rack tips and gets stuck when you try to push it back in after putting plates in. The middle rack is too small to fit my side plates. So far pretty unhappy with the way this dishwasher works. Rated 4 out of 5 by Muckle from Review of Dishwasher Overall we are happy with the dishwasher but do have comments - The door is hard to open and shut We are unable to leave the door slightly ajar - this is useful if you need to close the door to allow someone to pass by and then refill the machine Struggling with the cutlery tray but slowly working it out.